The Indian auto industry aims to create 6.5 crore additional jobs and contribute over 12 percent to the Gross Domestic Product of the country in the next ten years. 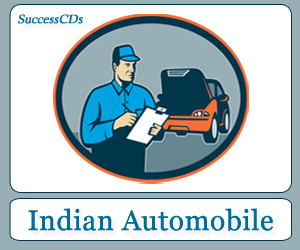 At present, the automobile industry contributes 7.1 percent to the GDP and provides employment to nearly 3.2 crore people. Also, it has invested around $35 billion in the last ten years. The industry will also need to focus on the improvement of areas like congestion, air pollution, global warming and road accidents. To achieve this industry will create the safe, efficient and environment-friendly vehicles. If the government focuses on the licensing norms and enforcement of road safety rules in the country, such initiatives would help to achieve a more positive impact on the society. The efforts of the industry in driving training are falling short due to lack of strict licensing norms and enforcement y the government. An Official of Maruti Suzuki India said that many of its members had been already engaged in various Corporate Social Responsibility (CSR) initiatives long before the new Companies Act asked corporates to invest in CSR. He added that Maruti Suzuki India has been specially focused in the fields of village development, skill training, safeguarding the environment and road safety. At present, all the organizations need to get together as on entity to prepare and implement an ‘Industry Social Responsibility Plan’ to have a huge and positive impact on the welfare of society.